Colin Spence is a Partner at Convergent Computing, and performs in the role of a Consultant, Project Manager, and Technical Writer for the organization. He focuses on the design, implementation, and support of Microsoft-based technology solutions, with a current focus on Microsoft SharePoint technologies. Colin has contributed to Microsoft Windows Server 2003 Unleashed, Microsoft Exchange Server 2003 Unleashed, and was a co-author on Microsoft SharePoint 2003 Unleashed by Sams Publishing. Michael Noel (MCSE+I, MCSA) has significant experience in the computer industry and has been working with the latest in SharePoint, Windows, Exchange, and Security technologies since the early stages of the products. 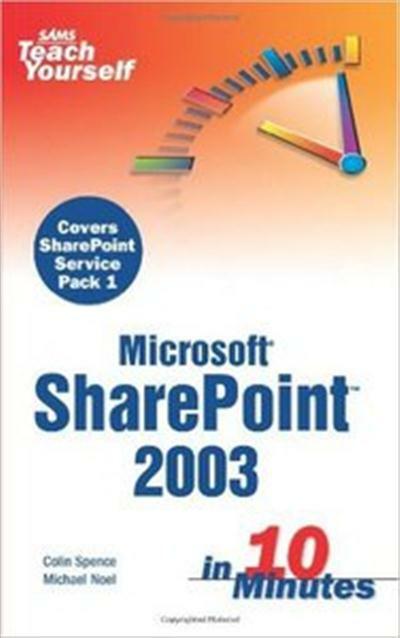 Michael is the coauthor of SharePoint 2003 Unleashed, Windows Server 2003 Unleashed, and Exchange Server 2003 Unleashed by Sams Publishing and is currently working on authoring his next title, ISA Server 2004 Unleashed. Currently a Senior Consultant at Convergent Computing in the San Francisco Bay area, Michael brings a wealth of hands-on knowledge and experience to his writing and public-speaking engagements.